If I donate my database, can I update it in the future? Yes - in fact, we encourage you to! How often can I updated the database? Will I be charged a fee to make my database searchable? 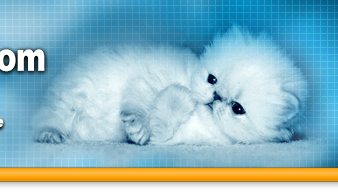 There is no fee associated with including your database on CatPedigrees.com. Must I do the programming to make my database "searchable" before submitting it to CatPedigrees.com? You don't need to make any changes to your database. 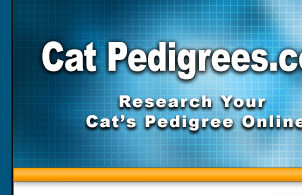 CatPedigrees.com assumes all the costs and responsibility to make your database "searchable" before we add it to our website. I am not sure that all the pedigrees in my database are 100% correct. We know that no pedigree database is perfect. While we know linechasers try to verify all information in a database, we accept that there is no guarantee of the accuracy of the pedigrees. What will you call my database? Your database will be named after your cattery name. Will you include a photo of me or my cats? Will there be a link to my cattery website? A link to your website and/or an email address will be included on the search page for your database. How long will CatPedigrees.com maintain this website? ALWAYS. Arrangements have been made to maintain this website in perpetuity for the benefit of all breeders, both now and in the future. Will a breeder be charged to search a pedigree? No. We believe free access to pedigree research is a benefit to all breeders, both now and in the future. Can anyone add a pedigree to one of the databases? Only the original owner of the database may add or change a pedigree in it. However, you are welcome to contact the owner of any of the databases, to request changes or additions to a database - see our Corrections page for more details.